L’assommoir – A late night legend takes on brunch. Bernard street is like my first love when it comes to brunch; it’s where some of my earliest reviews come from and it’s a street that offers a high concentration of restaurants in only a couple blocks. Many of these restaurants have been doing brunch for years and as of recently other have begun to offer brunch menus to their offerings. 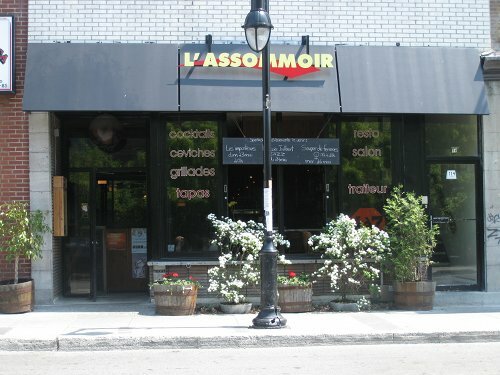 L’assomoir has been putting out great and fun meals for years and they are one of my favourite dinner places on Bernard. When my friend decided to do his birthday brunch here, I was excited. 6 sweet crepes and French toast options ($9-$11) *items work for both crepes and French toast. The benefit of being a large group is that you get to sample various dishes and I was up to this challenge. We were feeling quite adventurous and took some interesting options, one of which was the Eggs Benedict crab and avocado dish ($15.00). This dish was very interesting in that it paired two ingredients I would consider somewhat exotic and not usually seen together. The gamble paid off as the dish was very tasty. I could taste the crab and the avocado individually and the portion size was quite generous. 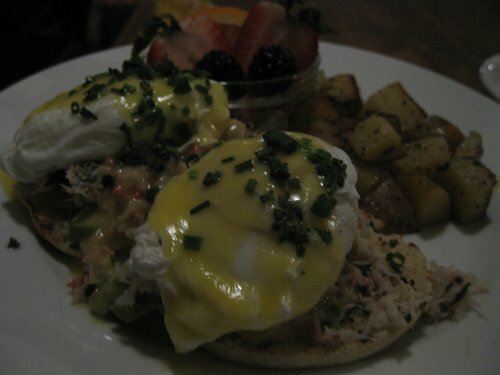 Although, I did feel that the price was a little high even though crab is expensive, but I have had lobster eggs Benedict before and it cost less (I am probably just being cheap). The Ham Bacon Cheddar Crepe ($12.00) was very tasty and it was nice to see a stuffed crepe that was salty since most stuffed crepes are sweet. The plate had some fruit and potatoes and I should note almost all the dishes come this way. The taste was flavourful and the portion size was generous. I also sampled the Steak and Eggs ($16.00) which is your classic steak and eggs dish with an egg placed on top of a nice juicy steak. The steak tasted good, and the egg was, well, an egg. My friend was really happy since he is a steak and eggs fan and it;s not something you find often. Next came my friend’s Fois gras omelette ($19.00) which I did not get to sample. However, he was very happy with it. I’m sure it tasted great since you cannot usually go wrong with fois gras but at $19 that is rather pricey. 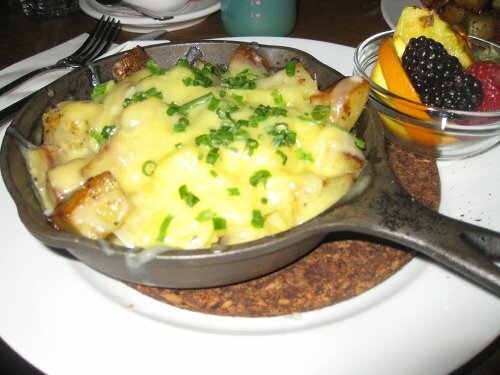 Lastly, my dish was the Poutine dejeuner (10.00) which is potatoes, aged cheddar, hollandaise sauce and an egg on top. I also had a Mango Tango smoothie which did not have a pronounced mango taste but rather more like banana. The dish was tasty and the sauce was extremely good; so good,I kept mopping it up. One issue is that the egg was supposed to be served on top but it was nowhere to be found. It was actually broken up and infused in the meal. I would have preferred to have the whole egg on top. 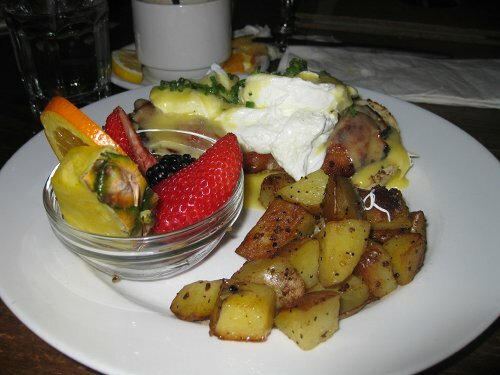 While it was tasty, I was not sold 100% since I basically paid for potatoes and hollandaise sauce. Service was not stellar. We were the only ones there and simple things like cutlery not being on the table, we weren’t overly impressed. We had to flag down our waitress more than once we had to request napkins and milk a second time. I understand that delays can occur when you are short staffed or when it’s jam packed but we were literally the only people there for a good 45 minutes. 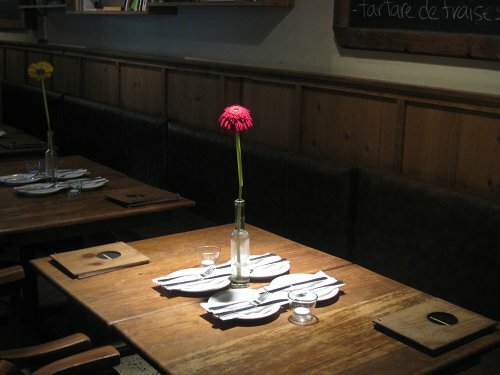 A good number of dishes are vegetarian friendly but do not expect vegan options. Overall, I felt it was a little expensive and the dishes did not deliver enough to merit the price hike. The service was not awesome, and the fact coffee was not included made the bill even more. There were some creative dishes but the menu as a whole was not refined enough to make me feel like it was worth every penny. I think the menu will change since they opened recently for brunch and are going through growing pains . Didn’t know they did breakfast! Will check it out. Botomless coffee is now included with the brunch menu. And the whole menu is renewed, so is the service staff.